16 May 2012, meeting the world travelers in Viet Nam, a big co incident….. But a lovely rencontre…. It was great to see Pascal and Claudia in the morning for break fast, we happen to be in Hanoi at the same time. 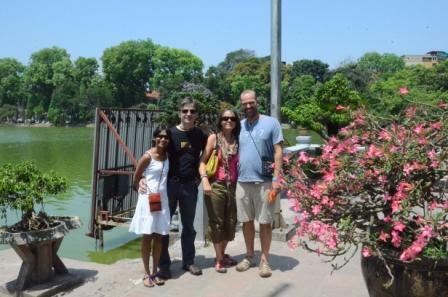 We did spend the day together in Hanoi, Pascal guided us through the busy streets of Old town. what an experience. 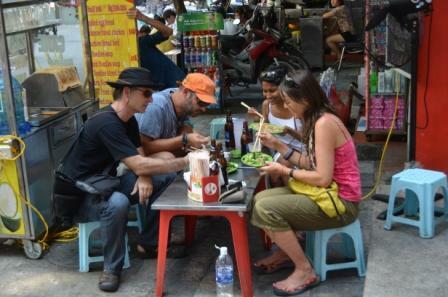 We had lunch together, at a nice street food place. A good chicken fried rice Vietnamese style and beef noodles for the guys. 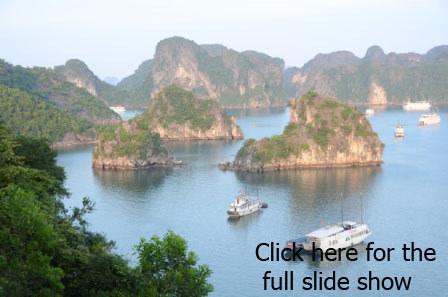 Now the plan is to go to Halong Bay, 2 night in a boat and 2 nights in Cat Ba isaland, all together….